During a recent cruise, our family visited Cozumel, Mexico. 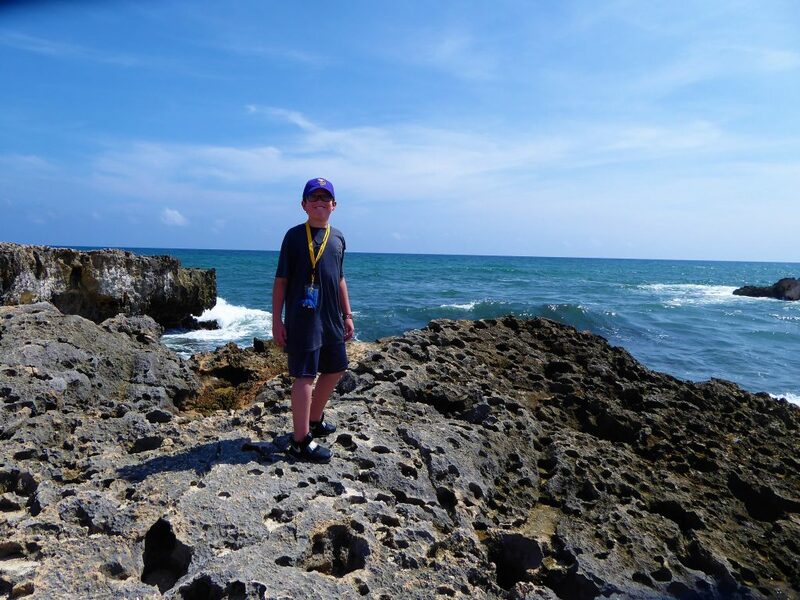 While in port, my son and I toured the island, visiting a number of island locales. While on the east side of the island, we stopped at El Mirador Beach. 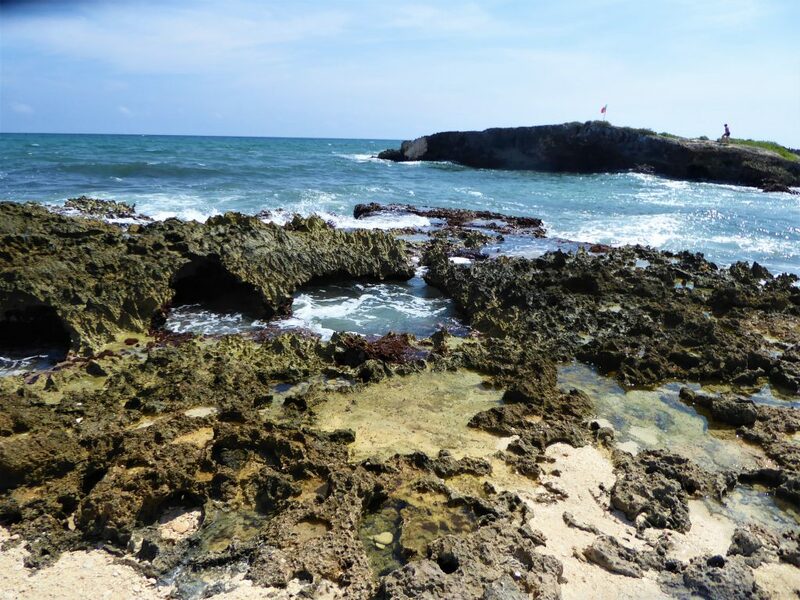 The beach boasts a picture perfect coral rock formation, El Mirador, or The Looking Glass. 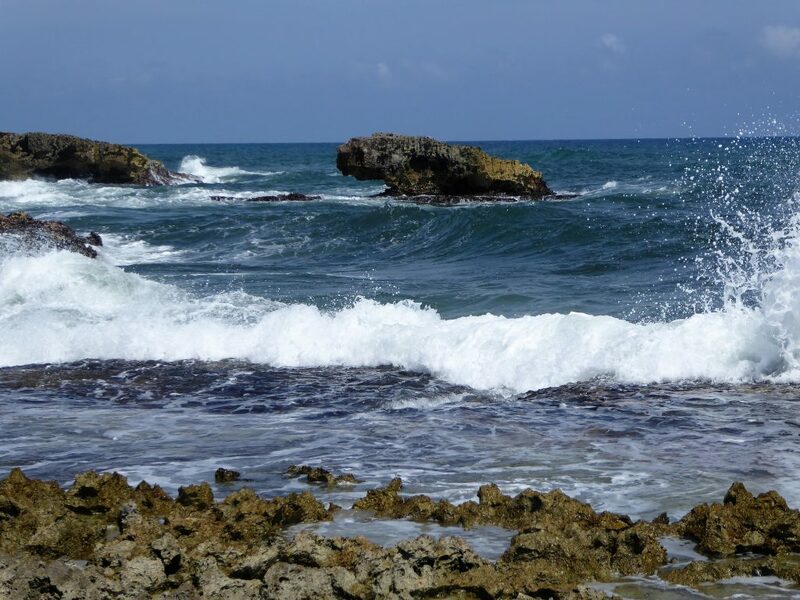 Our stop at El Mirador was short, but it allowed ample time to get some spectacular pictures of the waves crashing against the beach and the coral formations. Cozumel is a Mexican island about 12 miles off of mainland Mexico. 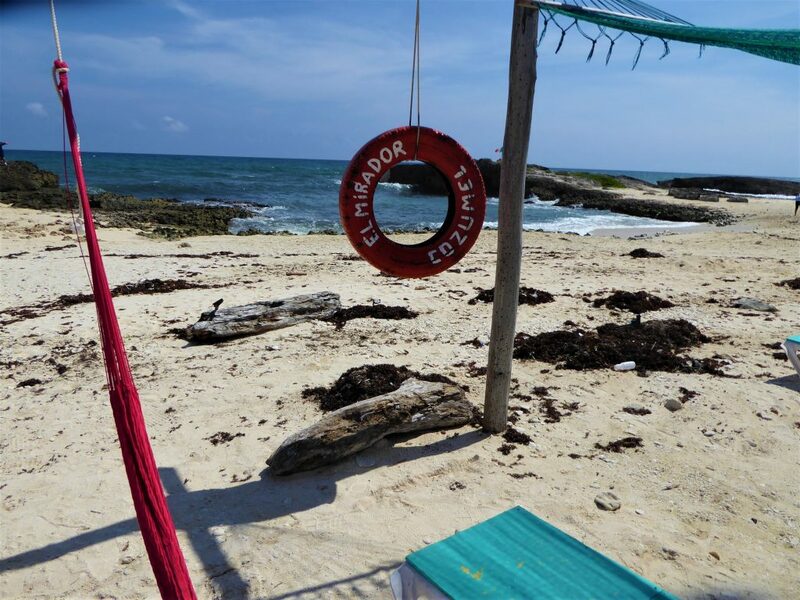 One can take a 45-minute ferry ride from San Miguel, Cozumel’s only city, to Playa del Carmen on the mainland. There are a number of commercial flights to the island. Cozumel is a popular cruise ship port, and on any given day you find a number of ships docked on the island. Cozumel is about 30 miles long and 10 miles wide, with one major road circling the island and a secondary road bisecting that road, quickly connecting the east and west. 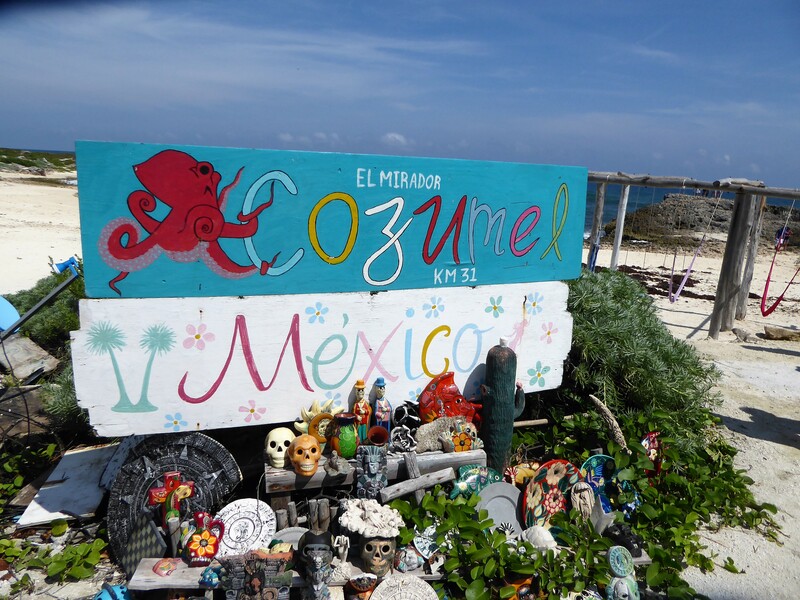 Most residents live on Cozumel’s more protected western side. The island is part of the state of Qunitana Roo, along with Playa del Carmen and Cancun. In addition to the Mayan ruins on Cozumel, you can take a day trip to see the mainland ruins of Chichen Itza, Tulum, and Coba. Much of the island is a wildlife preservation area, offering protection to several island animals. Cozumel was populated by the Mayan people about 2000 years ago. It was an important religious center for women who journeyed to the island. The women brought offerings to the fertility goddess, Ix Chel, in the central jungles of Cozumel. Today, you can visit the ruins of San Gervasio and see the temples and altars dedicated to Ix Chel. The island still boast descendants of the Maya, but most are mestizos, with Maya and European ancestry. Still, many of the residents take great pride in their Mayan ancestry, which was one of the most scientifically and mathematically advanced cultures of the world. EL Mirador lies on Cozumel’s eastern side. The east side faces the Caribbean Sea, and is more vulnerable to hurricanes and tropical storms. In fact, the landscape of the eastern island has changed in recent years after Hurricane Gilbert in 1988 and Hurricane Wilma in 2005. Wilma rested over the island for three days devastating much of the island. Miraculously, no residents died during this storm. However, Hurricane Gilbert left 52 dead in its wake. The hurricanes change the landscape of the island. For example, after Wilma, much of the road in the east were destroyed as debris covered the roadway, creating a new beach line. The Western side of the island is populated. But the islands east side is sparsely populated. One finds fisherman early int he morning. Our tour left San Miguel, taking the bisecting road for a stop at the San Gervasio ruins. From here, we traveled to the eastern side riding the primary road as it hugged the beaches. 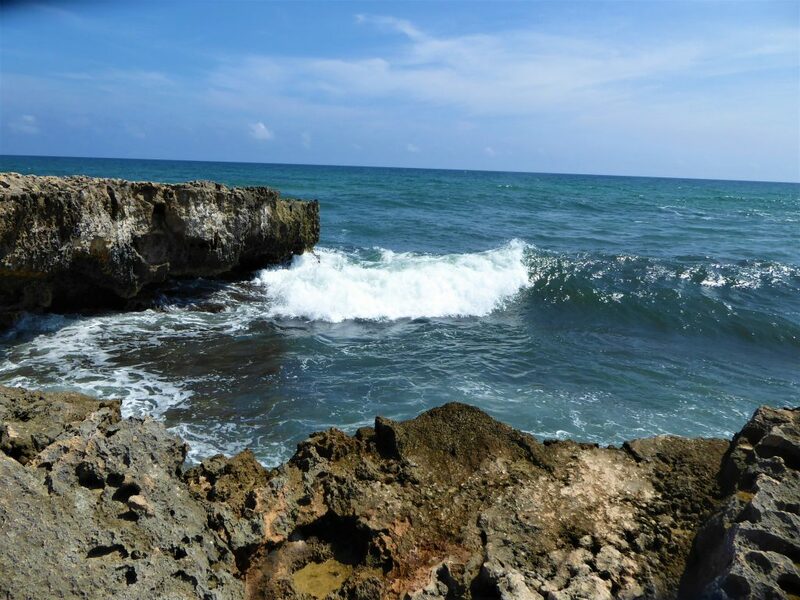 We stopped at El Mirador, and since Hurricane Michael churned in the Caribbean, the waves were more spectacular. Since the eastern side faces the sea, it provides refuge to many animals. Most significantly, the green sea turtle often beaches on the island to lay eggs. The Mexican government has started protecting the sea turtle, making the area a wildlife preservation area. The eastern roadway is closed from 6 p.m. to 6 a.m. to protect the nesting turtles. During hatching season, resident and tourists will swarm to the beaches overnight to help the hatchlings find their way to the waters. During our trip, which was late in the breeding season, we saw some turtle mounds from our bus. We also saw plenty of vultures that feast on the turtle eggs and hatchlings. Such is the circle of life, I suppose. Finally, we reached El Mirador Beach. It is a tourist hub, with many buses stopping daily. A few vendors ad food merchants line the parking area. While there, my son was able to pet a large iguana. We were told the iguana would pose for pictures for a fee. A few hammocks and a swing set line the beach. 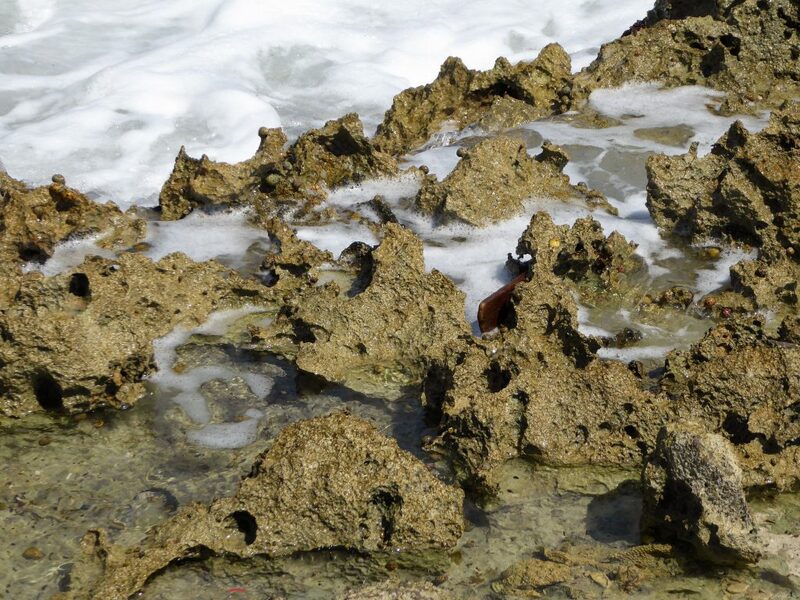 But the highlight of the beach are the coral rock formations. The coral forms natural bridges over the water. Coral is sharp and we were walked on it carefully. Among the formations, we found a number of hollow points where waves created brief whirlpools of swirling, foamy water. Other areas created blowholes, where water spouted out with each crashing wave. The beautiful white sand beaches and the translucent blue-green waters meant we had many picturesque sights which belonged only to us in that moment. As the waves crash, I considered that right here in this moment, I witnessed something that no one else would get to see. Sure, they would see their own special images captured in their moment of time, but these were mine. 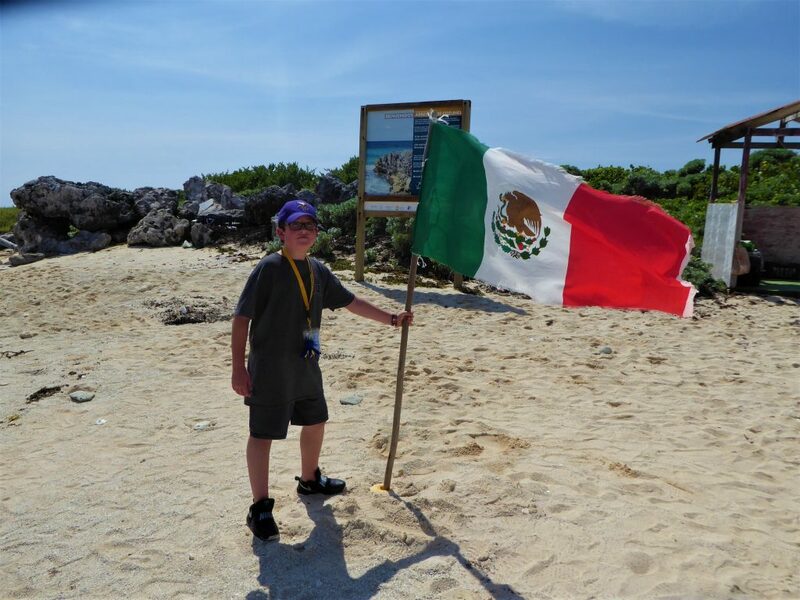 Many visitors seized the chance to get their picture taken next to the Mexican flag waving atop one of the coral formations. We also got a picture of another Mexican flag on the white-sand beach. Is El Mirador Family Friendly? The beach has a lot of attractions perfect for a family. You want to walk along the beach, searching for sea shells. Or, take your picture with an iguana or parrot. Some chose to dip their toes into the salt water or try to swim. However, since the waves are rough on this side of the island, it is best to watch young ones in the water. Of course, you also can lounge in a hammock or swing at the swing set. 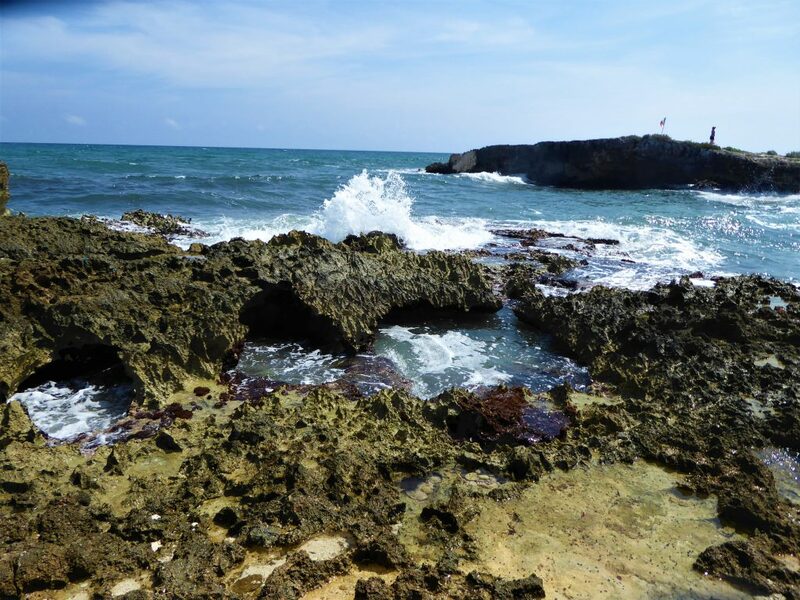 If we were spending time on Cozumel, this spot was ideal for a picnic lunch on the beach. 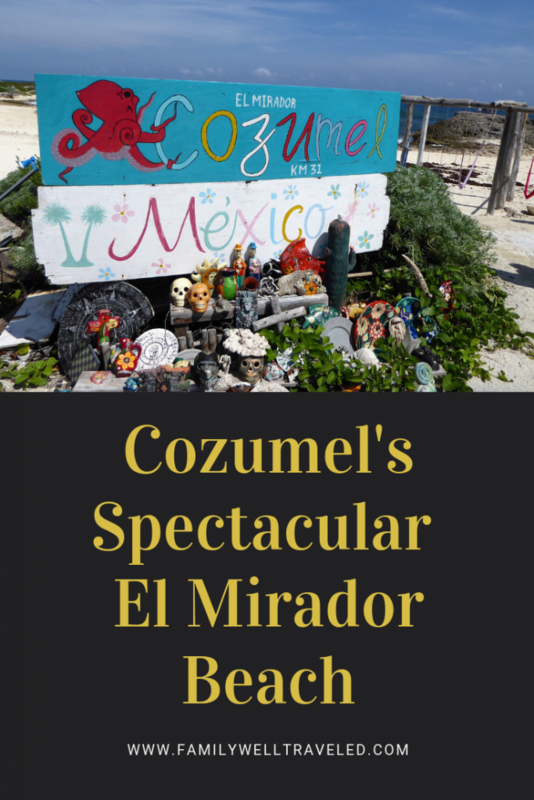 El Mirador is a great family-friendly spot. In fact, Cozumel has many family-friendly locales making it a great family vacation destination. Read about our visit to the Ancient Mayan ruins of San Gervasio. There’s nothing like chocolate. Take a tour of The Mayan Cacao Company on Cozumel.